It's a small world, this world of Down syndrome. When one of our members is hurting, we pass around the word until we all know about it. When I wrote "Healthy Redefined" the other day, I had no idea what was about to happen. Then the news started hitting my Facebook feed. 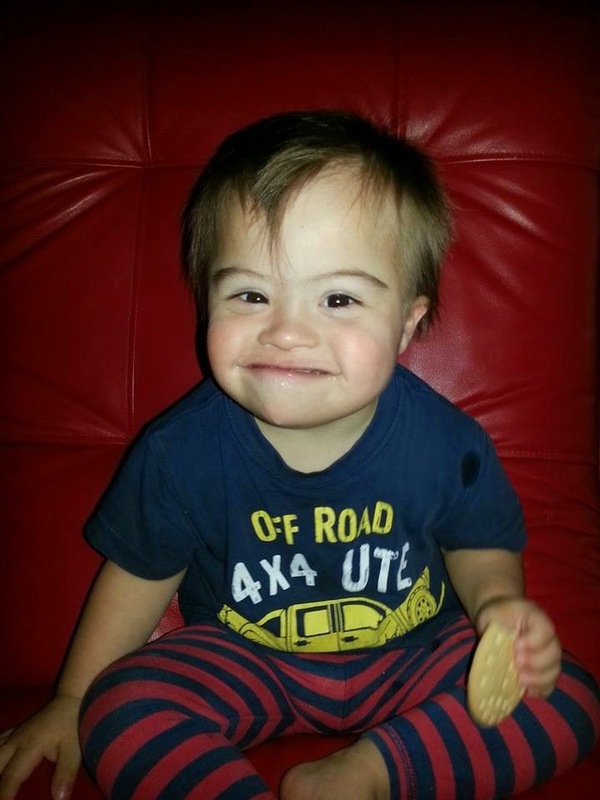 Ryder, from Upside Downs in Australia, had suddenly died on Wednesday of meningococcal. As I paged through the photos and updates on his Facebook page, my heart grieved such a loss. Then, the same day, more news. Fiona was critically ill. She'd just gone home from the hospital Wednesday night. Thursday she was back in the hospital. And Friday she was gone. I sobbed as I read the journal entries on her Caring Bridge page. Another of our community, gone too soon. And Friday, oh Friday. The news just kept coming. This time it was Annie, a girl whose story I've followed loosely for a few months. She had heart surgery in February that was not successful. 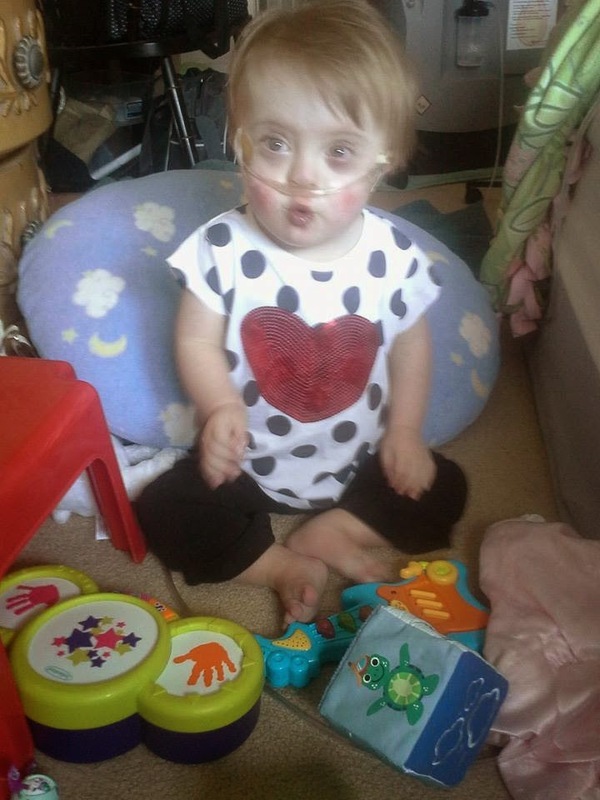 She needed a heart transplant but is ineligible due to her Down syndrome. And so her parents brought her home to have the time they could have. A time that is now drawing to an end. All weekend I've checked her Facebook page relentlessly, hungry for any sign that she's improving. She is not. Within a day or so, Annie too will be gone. It has been an honor of sorts, watching as Annie fades as her parents share their most intimate last moments with their daughter. And gut-wrenching, especially as I consider that, as far as I know, a heart transplant could have saved her life. So tonight, Monday, I pray for Annie and her family again. I pray for a miracle. I pray that if a miracle isn't God's will, that He would take her gently, free from pain. I cry for us all. For us in the Ds community who've suffered together through this very hard week of loss. For us who parent children ineligible for organ transplants. For us as a nation who values so little the lives of our most vulnerable. That's what I said a week ago, and I stand by it now. Each of these parents would rather have their child here on earth, "healthy" or not. Alive is all that matters. Life is precious. So very, very precious. UPDATE: Annie went to Heaven on Wednesday, June 18, 2014. I won't post her last photos, out of respect to Annie and her family, but her final photo had such peace and beauty. It was as though we were seeing Annie's true self restored. If you would like to help her family with funeral expenses, here's a fundraiser: Annie's Fund. Fiona's family creates baskets for families who have extended hospital stays. Donate to Fiona's Hope Totes. Sign this petition. 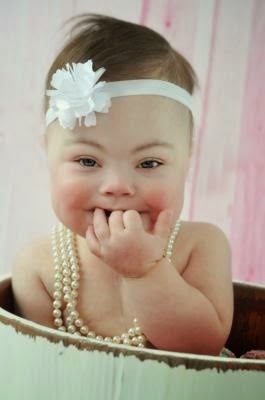 Children with Down syndrome are not considered eligible (worthy) of having organ transplants. This petition is the first step to changing this so that all children can be eligible of receiving life-saving medical treatment. Long Overdue - Esther's new Sister is Home! I have three children. They're all unique, but my littlest was born with something my other two don't have...a third #21 chromosome. So far, life is pretty much the same as it was before, except there are three car seats in our van! © Heather Hicks and 321mama, 2013-2015. Unauthorized use and/or duplication of this material without express and written permission from this blog’s author and/or owner is strictly prohibited. Excerpts and links may be used, provided that full and clear credit is given to Heather Hicks and 321mama with appropriate and specific direction to the original content. Photos may be reposted without cropping or altering and with the watermark fully intact.